Banqer is an online financial education platform that helps teachers deliver financial literacy in an engaging and relevent way. The software transforms the classroom into a mini-economy where students transact with one another from their own online bank accounts. From there they experience budgeting, taxes, super, mortgages and much more. Do you still have questions about Banqer? Our homepage is full of information, testimonials and insights. Or if you want something to share download a flyer below. FPA and Banqer share a mission to see the next generation prepared for the financial world ahead. As members of the local community who see the benefits of financial literacy firsthand, FPA members are perfectly placed to encourage schools to start their financial education journey. FPA members can introduce Banqer to their local schools at absolutely no cost, thanks to sponsorship from Netwealth. And through doing so members can help the FPA and Banqer in ensuring that young Australians are prepared for their financial futures. Do you have a relationship with a primary school in your community and think Banqer would be great for them? Let Banqer know who and where, and they’ll do the rest! Are you passionate about ensuring the financial future of the next generation, and want to play your part in ensuring young Australians are prepared for their financial futures? If you know a primary school teacher, a local primary school, or have a client with primary aged children who could benefit from an educational classroom economy, register your interest to receive guidance and support material from Banqer’s Education Centre to help you kick-start their journey! Reaching out to schools with information about Banqer and how they can supercharge their students’ financial literacy. Register your interest and the team at Banqer will be in touch. 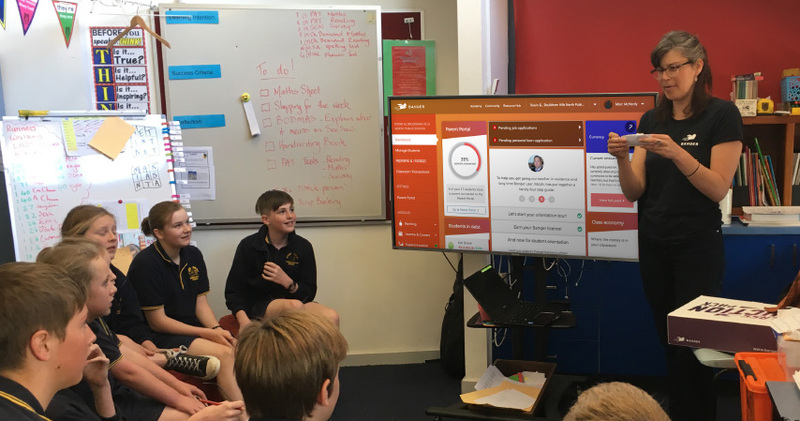 We'll be in touch soon with support material and access to a dashboard that will educate you on how best to introduce Banqer to schools near you. Melbourne based Corin Jacka of Priority1 Wealth Management Group has taken it upon himself to ensure the next generation of Australian kids are prepared financially. Leading by example, Corin is one of the a handful of FPA members to already introduce Banqer to his local school. It’s easy, free and it only takes a minute to get set up. And thanks to the Financial Planning Association of Australia there are financial experts available to help you and your class on your financial education journey. We have helpful tutorials, videos and lesson plans to get you started as well. Join the thousands of educators who already use Banqer. It's never been easier to confidently introduce financial literacy into your classroom.